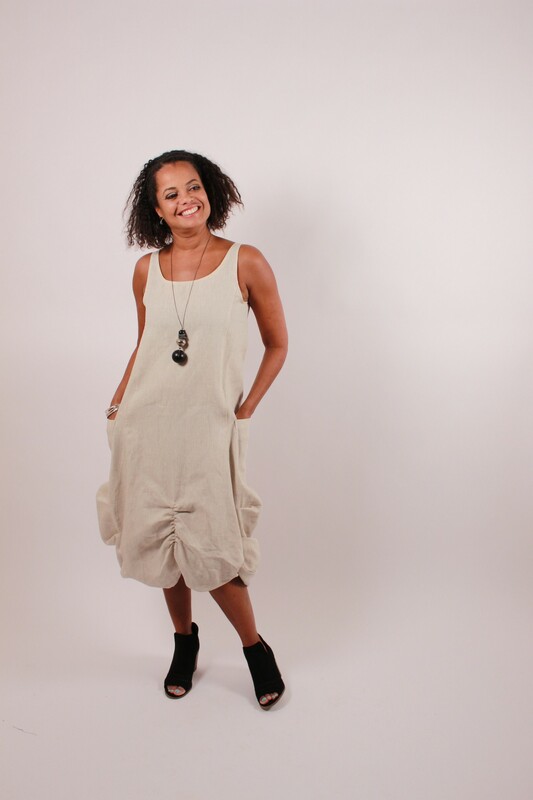 When it comes to spring and summer styles, linen is one of our absolute favourite fabrics! Whether you love it, hate it, or have never worn it, just keep reading. We're sure we can give you a new lease on linen! ►Linen is all natural, found in the flax plant. This is important to us because linen is environmentally friendly. ►Little to no pesticides are used to grow the plant, as well as a minimal amount of water. ►It's a renewable source and is fully biodegradable. ►Especially important in our hot and humid summer months, linen has a high permeability and is very breathable. ►Linen will keep you nice and cool by providing healthy ventilation. ►It absorbs moisture without feeling damp, essentially acting as your own portable air conditioning system! ►Like most natural fibres, linen actually repels dirt. ►When it comes to washing, simply wash cold in the gentle cycle. Then shake, pull on shape and hang to dry! ►If you'd like, use an iron. Just remember, it's the wrinkle look of linen that is the attraction. Unless the garment looks like you slept in it, you will look fashionable with some wrinkles. ►For a quick linen refresh, hang the garment in bathroom and turn on the shower for a few minutes, et voila! ►You might think of linen as the sensitive type, but it's actually super tough. ►With fibres much longer than those in cotton, they don't stretch, catch or tear. ►Each wash will in fact, make your garment softer, smoother and more gorgeous looking! ►So, after all the gushing about lovely linen, the fifth reason why we're crazy for it? We just love to work with it! ►Buying our fabrics for the spring and summer collection is pure joy. The linens come in the most sumptuous colors, making the hardest part deciding what colors to pick! We wish we could take them all. ►Finally, we thoroughly enjoy creating and working with the fabric. With a most wonderful touch to the skin, it drapes and hangs beautifully. So we've made our case! We are in love with linen and hope you will be too. 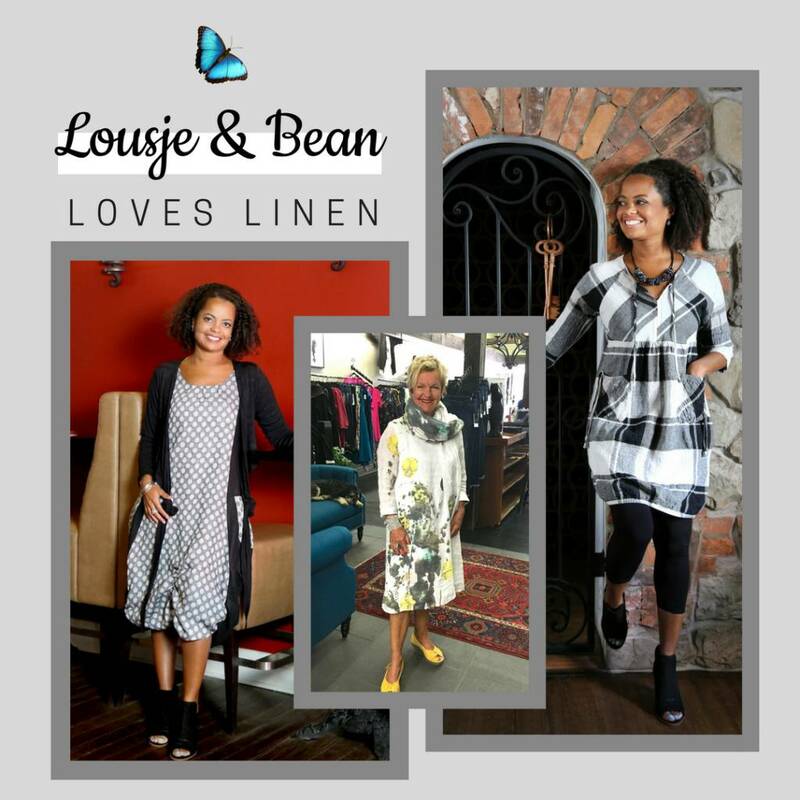 We've worked hard to create stunning linen pieces for our Spring/Summer line and can't wait for you to try them on. Come see us! We'd also like to thank our model, Juliet Dunn as well as Luminea Creative Photography! Their hard work truly made our Spring/Summer line come to life. We are so lucky to have them!